How many stars do you give Lookfantastic Subscription by Lookfantastic? Lookfantastic Lookfantastic Subscription is available to buy at lookfantastic. Be empowered with 6 amazing treats in this special edition Beauty Box, perfect to build your inner strength and confidence this month! We’ve gathered a fantastic selection of beauty and skincare products from some of our favourite brands, which we guarantee will leave you feeling powerful and ready to take on the world! I was so excited to get this box! I got an anniversary edition I think and there were many expensive brand products. Most I have never heard off, so, you know, that expensive. It was more focused on skin+hair treatment rather than make-up, which I think was great because you get through these products faster than makeup. However, there was a strobing pencil AND a mud mask more suitable for my mother. Which leads me to think that maybe in the future, it would be nice if the creators paid attention to including stuff for one age/problem group rather than numerous. I am in my late teens/early 20's with combination, light tone skin and brown eyes. My hair is medium brown, unknown with unknown texture. I've done the look fantastic box for a couple of months now and I love trying new all the products I wouldn't normally go for or have the money to buy to try. I did try the birchbox before but felt that I didn't get tht much for my money. I think the look fantastic box is better designed and definitely feel worth the money I spend. If you buy it through qudico you can claim some money back depending how many months you subscribe to. Would rather spend £13 on makeup I would use! 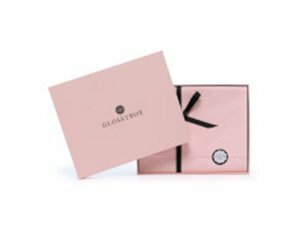 Controversial I know as everyone loves this monthly beauty box but...It took me a long time to decide on what beauty box to try next after previously using Glossy Box for 5 years. I was finally swayed by last Septembers LF box which contained an Eve Lom cleanser...my fav, and a Omorovicza cleanser, but ever since have found the boxes contents to be meh! Since last September the only product I wanted to repurchase was a Liquid Eyeliner by Mellow which is not even available to buy in the UK...not unless you want to buy unwanted ones from peoples beauty boxes on ebay! I would say I have given away 90% of the contents in the the last 6 months. I tried to cancel the subscription and explain that I'm not satisfied with the contents every month but have been told that I have a years contract and I cannot cancel, I can only stop it automatically renewing in September. Clearly I did not read the small print, so ladies take note before you sign up for subscription boxes. When I stopped Glossy Box after 5 years that was it, no more payments. So I am not allowed to break my contract with Lookfantastic until September, but they can continue sending me hair bands, red lipsticks, own branded items and never ending sheet masks. It takes a lot for me to be negative about a product but I would prefer to use my £13 a month on buying a product that I will actually get some use out of. If you want to try the LF Box I suggest 3/6 month subscription rather than signing up for a year to save 75p a month! I may have saved 75p a month by picking the 12 month subscription but now I will have to spend another £78 on products I don't want. MakeUpGeek, Ashli and Lickle-Boo and 8 others like this. GlamGeekClaire, Ashli and BhavyaM like this. I really liked it originally, but I feel that the quality definitely dropped. When I'm working again I'm going to try something else..
I’m a bit late to the party, but take a look at Latest in Beauty. 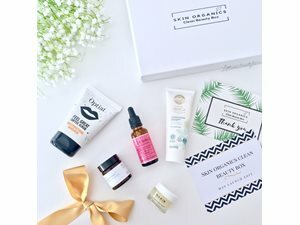 They have a few different options (3, 6, 9 items) and you can choose to have a curated box or pick your own items from a pretty large selection. I was toying with it the other day and there was a decent amount of full-size to choose from as well as lots of minis. The cost of a 3 item box is £9, 6 is £15 and 9 is £18. 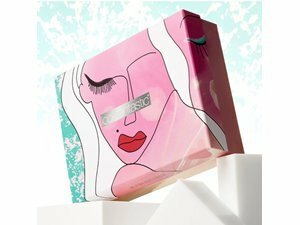 The first beauty box I ever tried and still the best. I had a six month subscription and got loads of products from brand I don’t normally come across. Some of these brands are very upmarket so it was great to try them before spending money on the very expensive full sized versions. I am in my late 20's/early 30's with oily, brown tone skin and brown eyes. My hair is dark brown, dry with coarse texture. I've happily stuck with this subscription! I have been subscribed to this beauty box for so long now, I can't even remember when I signed up. Most of the time I have been extremely happy with what I have received and on the odd occasion, not so much. But they can't cater to everyone and 99% I'm very happy. 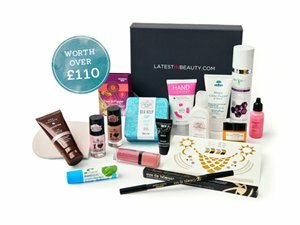 I have tried out so many products with this subscription, I even chose to go with Lookfantastic's Advent calendar which was mostly great, a couple of things I already had from boxes but overall good! There are so many products that are now my favourites that I wouldn't have discovered without being subscribed. I highly recommend!  GlamGeekClaire, MakeUpGeek and Shelleyd83 and 4 others like this. ✨I’ve now had 3 of these boxes after unsubscribing from Birchbox and I’m really pleased with it. So far I haven’t had any random products which I would’ve given away with other beauty box subscriptions. The value for money is fantastic - in March’s box there was a half sized Omorovicza’s Oil Balancing Moisturiser which is amazing and the full sized product is £85! For £15 per month and free delivery, you really can’t go wrong. The boxes are a good size and really pretty, so they are nice to hang on to. The product choice is great and so far I haven’t given anything away! This is my favourite beauty subscription box as its great value and I've rarely been disappointed with the products. Most of the products are good mid to high-end brands and the products are either deluxe samples or full size. You get one sneak peek every month and the rest of the items are complete surprises (generally good ones). I feel that Look Fantastic don't add 'fillers' like other boxes do. It's generally an excess of fillers and the same old brands that make me unsubscribe from Beauty Boxes and you don't get that with Look Fantastic.